Kimberly looked over at her husband Brent, who was snoring lightly in his recliner. He was never able to stay awake long enough to ring in the new year. Somewhere around 10:00 he always managed to slip into his nightly sleep coma, whether he was actually in bed or not. Kimberly sighed and turned the TV off with a click. The house was so quiet, even though she could periodically hear fireworks popping from her neighbor’s yard. The kids were still out at their parties and probably wouldn’t be home for another hour or two. It was the beginning of another year. Another year of working to make ends meet, keeping up with their two kids’ activities, and trying to keep the house in order. Liam, their oldest, would be leaving for college this year and their daughter McKenna would be only a year behind. Life just kept marching on, and Kimberly didn’t know how the time had gone so quickly. Kimberly got up off the couch and started gathering the empty boxes of Thai take-out food which had served as hers and Brent’s new year’s celebration. She passed through the dining room to get to the kitchen, her hands full of boxes, napkins and empty soda cans, when something caught her attention out of the corner of her eye. One of the walls in her dining room had an arrangement of family pictures in antique frames and an old mirror which had been passed down to her from her grandmother. The mirror was an oval shape, with intricately carved birds and flowers around the worn golden frame. Kimberly could have sworn that she saw something shining in the mirror, something which wasn’t reflected from anything in the room. But when she stopped to look closer, nothing appeared out of the ordinary. Kimberly finished cleaning up in the kitchen and was heading back into the TV room when she noticed the same shining glow coming from the old mirror. She moved closer to the mirror again, her heart starting to pound. Could the mirror be reflecting some fireworks that were still going off in the neighborhood? A warm yellow glow was pulsing gently from the center of the mirror. As Kimberly drew nearer, her reflection appeared along the wavy glass but the pulsing light continued to shine, illuminating her face with each rhythmic beat of light. Slowly, tentatively, Kimberly stretched out a hand until just the tip of her finger touched the cool glass. A swooshing feeling rolled through Kimberly’s arm, down into her stomach, and finally out through her toes. In less than an instant she could feel herself being sucked inside the mirror, her head spinning in a topsy-turvy wave. A moment later and she was standing in a tiny room which looked identical to her dining room, only it was in reverse and looked oddly distorted. She was facing a mirror exactly like the one hanging in her dining room with the antique golden frame, only instead of reflecting herself it showed her dining room as it was in real life. Kimberly tapped on the glass and her ears nearly exploded with the thudding echo that passed around the distorted room. She instinctively covered her ears in response, waiting until the reverberating sound faded away. “I wouldn’t do that if I were you,” a light voice said from behind where Kimberly stood. She quickly spun around to see a young woman standing there, her hands resting idly in the pockets of her crisp ivory dress. She had light brown hair which was so long it reached the small of her back and was pulled away from her face with two exquisite ivory combs. “W-what…?” Kimberly stammered, backing away involuntarily until she bumped into the wall. Kimberly looked at the young woman, even more confused. The girl smiled again, cocking an eyebrow over her shining green eyes. Kimberly thought for a moment. What had happened to her dreams, her aisling? Had she forgotten about them so many years ago? Wasn’t she just thinking how her life had turned into a never-ending cycle of just getting by? The girl did not respond, other than to look at Kimberly with an intense expression. It was a dare, from one woman to another. Would Kimberly accept the challenge? She let out a long breath. “All right, then, let’s do this,” she said. She brought Kimberly to one of the faded pictures hanging on the wall. 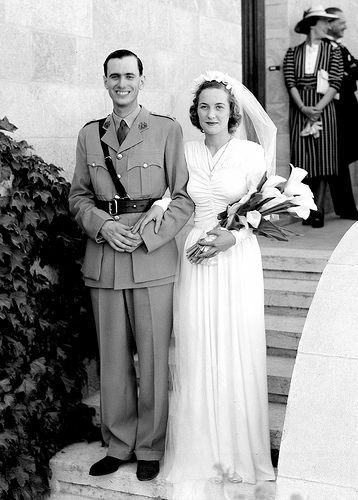 It was an image of her grandmother when she was a fresh young bride standing arm in arm with her beaming beau, Kimberly’s grandfather. She always loved the picture. To Kimberly, it was a love story personified in perfection. Maeve McKenna, her grandmother, was a beautiful woman. Her reddish-brown hair, grey eyes, and fiery personality conveyed the epitome of an Irish beauty. Born in Dublin, but raised in the outskirts of London, Maeve had quickly developed a reputation of the girl who played “hard to get.” Really, she was just particular. She didn’t want any old beau for the sake of someone to hold her hand or take her dancing. She wanted the real thing and she was willing to wait until she found the man who fit the bill. The war swept through Europe and everything changed. Maeve’s world as she knew it was turned upside down. Thousands of young men were shipped across the channel, while her girlfriends volunteered at the local canteens, feeding the tattered boys who returned. Air raid sirens wailed at odd hours in the night, waking her family and sending the younger children scrambling into her narrow metal-frame bed for comfort. Maeve began working at the War Office in London, hidden deep underground for protection from the bombs of raid drops. She was one of the assistant secretaries for the Commander-in-Chief of British Forces, typing up memos and letters which conveyed matters of great importance. Maeve also frequently wrote the letters of condolence which were sent to family members who had lost a son, brother, husband, or father. Although instructed to keep the letters as brief and to-the-point as possible, she could not help trying to convey a more personal message and an acknowledgement of the grief which was inevitably felt at the loss. As she brought the stack of letters awaiting signatures to the Commander’s desk each night she tried very hard not to notice the resigned sigh he would utter while perusing the letters before adding his pen to paper. To her surprise, he never said anything, although the crinkly line which furrowed between his brows seemed to grow deeper and deeper every day. Siobhan interrupted Kimberly’s reverie as memories of her grandmother filled her mind. “Are you ready?” she asked, taking a hand from her pocket for the first time since she appeared in the tiny room. “Now is the time to touch the glass,” she said, extending her hand toward the picture of Maeve on her wedding day. As she reached out toward the glass, Kimberly noticed the girl’s petite hand was encased in a glove made of the most delicate ivory lace she had ever seen, with tiny seed pearl buttons fastened at the back of her wrist. Kimberly followed Siobhan’s action and touched the glass at the same time as the girl. There was a similar rolling tingle which swept through her body and made her head start to spin. Kimberly closed her eyes, afraid that she would be unable to stop the tipping turn her body involuntarily made. Finally when she opened them again she uttered a gasp of surprise. There in front of her was her grandmother, young and vibrant, typing furiously on an old typewriter while sitting in a tiny box of a room. Could this actually be happening? Kimberly thought to herself, as she stood transfixed, watching the woman she knew and loved in such a different light. She took a step closer to the young Maeve, wondering if she would be able to see her standing there, but her grandmother remained intent on her typing. “So she cannot sense us here, either?” Kimberly asked, stepping close enough to Maeve to look at what she was typing so intensely. Before Siobhan could respond, the clacking on the typewriter stopped abruptly and Maeve looked up and around. Kimberly could see tear tracks down her face and a faint ruddy complexion in her cheeks which gave away the fact that she had been recently crying. For an instant Maeve’s eyes rested in the spot where Kimberly stood, making her think that perhaps her grandmother could see her after all, but then Maeve seemed to shake herself slightly and turn back to her typewriter, the ring-tinging of the keys once again filling the tiny room. Kimberly looked over at Siobhan as though to challenge her assurance that there would be no interaction with these memories, and the girl merely shrugged. Footsteps echoed on bare wooden stairs and two children burst into the room. The children ran back up the stairs, leaving a door open at the top which let in a faint yellow glow of light. As Maeve lifted the oil lamp off her desk and began climbing the stairs, Kimberly noticed for the first time that they were surrounded by stacks of bulging burlap sacks and wooden crates, with canned goods and other food items stacked inside. Maeve must have made the cellar into her makeshift study. It was probably the only space in their home which she could have to herself. Kimberly and Siobhan followed Maeve up the stairs and through the kitchen, passing a tired-looking woman with disheveled hair sitting at a table, a needle and thread in hand as she made tiny stitches in a kelly green dress with fine black piping. There was a kettle resting on an old fashioned iron stove, just starting to blow steam from its thick round spout. This must be Kimberly’s great-grandmother. She remembered Maeve telling her how her mother had been a seamstress and made beautiful clothes to help put food on the table. It seemed that even during the war there were some fine ladies who could afford beautifully tailored garments. Several small rooms branched off from the kitchen where they left Kimberly’s great-grandmother to continue her work. In one room they found Maeve curled on a bed with three children nestled in close to her, their expressions rapt with delight at the story which unfolded from Maeve’s lips. Laughter came from the cozy bed as the children enjoyed one of Maeve’s silly twists to her tale. A hazy mist seemed to fill the room and the scene vanished before Kimberly’s eyes. A moment later she was in a larger room with ten or more desks. Men and women in uniform walked in and out with purposeful expressions on their faces. Telephones were ringing, low voices hummed, and typewriter keys clacked. Kimberly found her grandmother sitting at a far desk, typing from a stack of papers which were propped up next to her. As the two approached Maeve, she suddenly stopped in mid keystroke, a trembling hand raised slowly to her mouth. Maeve jumped from her seat and ran out of the room, the page she had been reading from floating carelessly onto the floor. Curious, Kimberly looked at the paper. It was a list of names of deceased soldiers. She must have been composing the condolence letters for the Commander. Perusing the list it did not take long for Kimberly to see what had so discomposed her grandmother. The third name on the list was Timothy Declan McKenna, Maeve’s older brother. Swirling mist surrounded Kimberly and Siobhan again and the room disappeared. When it cleared they were standing in a park and could see Maeve and a young man sitting on a blanket in the grass. Maeve had her knees tucked into her chest and the boy’s jacket was wrapped around her shoulders. They were talking in low tones to one another, with the young man leaning gently in by her side, his legs stretched casually out in front of him. With a start Kimberly recognized her grandfather as the young man, Peter Bennett. He had died before she was born, so she didn’t have any memories of him other than old photographs and fantastically romantic stories told by her grandmother. They had met at the war office, where he worked after sustaining a traumatic injury to his leg in France. He kept the leg but was no longer fit for duty and walked with a limp for the remainder of his life. Kimberly eagerly drew closer to the pair to listen to their words. Maeve leaned into Peter’s side and he wrapped an arm around her shoulder, pulling her close to him. The scene began to fade with the now familiar haze enveloping Kimberly, but this time she protested. “Wait! Stop! I want to see more!” she cried. Her cheeks were wet with tears that she didn’t even know she had shed. It had been gut-wrenching to see the naked grief in her grandmother’s face, the desolation of her loss combined with the drained soul of a woman surrounded by war and hopelessness. It was one thing to hear stories about what it was like to live during the war, but it was quite another thing to witness first hand the devastation and loss it created, especially written across the face of one you loved. Kimberly wished that she had asked her grandmother more about her life when she was alive. Most of her memories were of her grandmother’s stories: fanciful, adventurous, and happy. Kimberly now understood more clearly that her grandmother’s real story was one of undying love, courage in the face of darkness, and hope for a better world to come. If only she could sit down with her one more time. Instead of following Kimberly’s wish and returning back to her grandmother, a swooping sensation passed through her from head to toe and she found herself spinning until her feet touched solid ground. She was back in the mirror room, facing the framed picture of Maeve and Peter on their wedding day. Kimberly longed to reach out and touch the picture again, hoping it would transport her back to her grandparents. As painful as it had been to see her grandmother through her times of suffering, it was also intriguing to witness what she had been like as a young woman, just starting off in her journey through life. And to actually see her grandfather Peter as well! She only saw him for a few moments, but her heart was deeply touched by his tenderness toward Maeve and his inciteful wisdom at such a young age. She felt more connected to both of them than she ever had in her life. Siobhan smiled wrily, and in that moment Kimberly could see a depth in her eyes which she had not noticed before. It spoke of a level of experience and knowledge that she could not even fathom. Just how old was this girl? She felt a light hand on her shoulder. “Come, it is time to look into another memory,” Siobhan said and pointed toward another picture hanging on the wall. It was a picture of a young girl, about six years of age, with a smiling older woman pressing her wrinkling cheek next to the child’s. It was Kimberly and Maeve, sitting on a porch swing together, the crisp autumn breeze sending tendrils of the girl’s hair flying around her face. Kimberly remembered the day that her mother had taken the photograph. She had just returned home from the first day of school and her grandmother had been eagerly awaiting news of how her day had gone. She remembered sitting on the swing next to her grandmother, telling her about the children she had met that day and showing her the book she had checked out of the school library. It was far too difficult for her to read herself, since she was only just learning to read, but she couldn’t wait to hear her grandmother’s rendition of the story, for she knew it would be even more exciting than what was written on the pages. Kimberly swallowed hard, trying to choke down the lump in her throat. She missed her grandmother Maeve so much. Without hesitation, Kimberly reached toward the picture on the wall at the same time as Siobhan, sending her spinning into space once again. When Kimberly opened her eyes she found herself in a familiar location, one which she had spent more than eighteen years of her life. She was in her old bedroom, in the house that she grew up in. There was the same brown desk, with swirling doodles made in pen along the top of it, a tired looking bookshelf which was far too laden with books for its size, and her antique iron-frame bed, which her mother had painted white when Kimberly was young, but which now was a dingy yellow color. A gangly teenage girl was sprawled across the bed, writing in a spiral bound notebook which was covered in hearts and block letters. Her dark brown hair was pulled into a tight ponytail high on top of her head with a hot pink scrunchy and she wore mismatched socks, one neon green and the other covered in a black and white checkerboard pattern. It was Kimberly, around age thirteen, although at the time she went by the name Kimmie. She only changed her name to Kimberly when she went away to college, thinking that it sounded more sophisticated and grown up. She wondered if maybe she had grown up too quickly. Kimberly noticed the notebook with interest and remembered filling up dozens of them with her writing. She had spent hours in her room making up stories, writing poetry, and sometimes even rewriting lyrics to popular songs which played on the radio. A lot of it was just nonsense or the fantasies of young teenage girls, but some of them were pieces that she put a lot of time and thought into. The pages weren’t just full of words and scribbles, doodles and dreams. She had put her soul into those notebooks. Kimberly wondered whatever had happened to them. They used to be such treasures to her, but she hadn’t looked at the notebooks or read from them for years. She didn’t even remember the last time she had tried to compose anything more creative than an email. A strange feeling started to creep inside Kimberly’s gut and made its way to her chest. The sensation grew more intense and uncomfortable until finally she recognized what the feeling was. There was a light knock on the door and Maeve slipped her meticulously maintained fiery red-colored head inside the room. Kimmie’s head popped up from her notebook and she grinned. “Grammy! Come in!” she cried, adjusting herself to sit cross-legged on her bedspread. With a jolt, Kimberly realized where the nickname that her grandmother called her came from originally. It was what Peter had called Maeve that day in the park. A lump swelled in Kimberly’s throat and hot tears filled her eyes. How had she not known this before? Maeve put her hands in her lap in a very official-looking pose. “Talk me through it,” she said, her lips pursed and her eyes sparkling. Kimmie then began telling a story about a princess who was in love with a boy in the village, but their romance was forbidden since he was not of royal birth. She must make the decision to say goodbye to her love forever and keep her kingdom, or give up her inheritance and the throne to be with her love. Kimmie thought for a moment, but her pause was brief. By the end of her speech Kimmie was talking a million miles a minute, her hands gesticulating with dramatic punctuation, but Maeve took it all in stride. “So you think she should dump him?” Kimmie asked, an incredulous expression on her face. Maeve laughed a throaty, deep laugh. The sound made Kimberly smile with remembrance. Kimberly could still see the lopsided grin split across Kimmie’s face as the scene faded from sight. Mist filled Kimberly’s vision until a gentle breeze blew the gray haze away. They were now standing on a green lawn next to a tightly arranged patio full of white plastic lawn chairs. There were pots of brightly colored geraniums placed around the perimeter of the patio, making the space smell like spring and new beginnings. Kimberly recognized the patio as the one at Maeve’s last assisted living home. Maeve was sitting in one of the lawn chairs, a violet colored afghan wrapped around her legs and a winter coat buttoned up to her chin, even though the day was quite sunny. Kimberly from the past was sitting next to her, reading out loud from a book which had been on the New York Times best seller’s list that year. Maeve liked to stay current with what was popular. She appeared to be paying more attention to two children chasing each other in the grass, however. Kimberly’s heart fluttered as she recognized Liam and McKenna, around six and a half and eight years old. As the oldest, Liam was obstinate and teased his sister to no end. He held something in his hands, insisting it was a tiny frog, but refused to show it to McKenna. Just as ornery as her brother, she ran around trying to catch him and drag his hands to where she could see. When she was unable to succeed, her laughter turned to vexing yells and whines. Although now older, Kimberly mused on how their relationship had not changed much over the years. The spring sun was high and white, beating pleasantly on the children’s sun-starved skin. McKenna’s hair seemed to glow with its own orange-red fire. As soon as she was born, with her milky white skin and carrot-colored hair, Kimberly knew she was a true McKenna, like Maeve herself. Maeve’s hair was no longer fiery red, or orange-red, or even brownish red. It was a beautiful crisp white. But her eyes were still as sparkly as ever. The Kimberly in the chair noticed Maeve’s distracted attention and asked if the children were bothering her. “No, dear. They do not bother me. They remind me of certain children from long ago…” she said with a wistful sigh. The two women watched the children for a few moments, with Kimberly looking more and more irritated with the noise and commotion. She was about to get up and separate the two, who were still quarreling over the contents of Liam’s hands, when Maeve spoke again in a soft voice. Kimberly squirmed a little in her chair. Kimberly glanced up from where she was sitting and noticed the children had stopped arguing and were sitting in the grass inspecting the unfortunate frog which lay trapped under Liam’s fingers. Kimberly was startled to feel a wrinkly warm hand clasp her own. She looked over quizzically into her grandmother’s eyes. Kimberly shook her head, surprised that her grandmother could remember something so insignificant. Maeve was quiet for several minutes. Kimberly was just about ready to stand and corral them all into the home’s dining hall for lunch when her grandmother’s quavering voice made her stop. 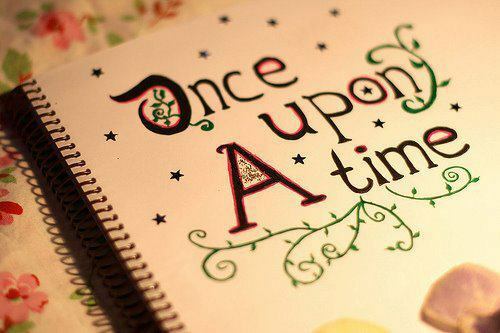 “Sometimes, we have to write our own happily ever after….” she said. Mist swirled into the yard and swallowed Siobhan and the Kimberly of the present into its fine vapors. More continued to roll in, the mist growing thicker and thicker until Kimberly was unable to see her hand in front of her face. All around her was a murky darkness which felt cold and all-consuming, seeming to sink into her bones. A shiver ran down Kimberly’s spine as she frantically started to shuffle around, trying to feel for Siobhan or anything solid. That day at her grandmother’s senior home had been one of the last few memories Kimberly had of Maeve sitting on her own and talking intelligibly. She had suffered a stroke about a month later, and remained bed-ridden and incoherent for five more months before finally being released from this life. Kimberly remembered the devastation she felt at losing her grandmother. Now, ten years later, the sharp pang of her departure was softened, yet Kimberly still longed for more time with the woman she loved so much. Standing in the dark, both blind and alone, reminded of what she had already lost, Kimberly wondered if her dream had turned into a nightmare. What sort of an aisling was this? Her grandmother was no longer alive. Her mentor, her hero, her friend was gone forever, and Kimberly’s aisling seemed to drift into the oblivion of this eternal, choking haze. Just as Kimberly was about to succumb to the cold and darkness which seemed to grip more tightly around her, a delicate, gloved hand grasped her own. The mist gradually moved from black to gray, and in the haziness which surrounded her she could start to make out a subtle glowing light which was growing by the moment. The light seemed to fill her with warmth, chasing away the dampness and the dark. Finally Kimberly was encircled with the brightest light, and just when she thought the mist would at last clear the now familiar swooping sensation passed through her from head to toe. She found herself spinning, spinning, spinning…. Kimberly awoke with a start to the front door opening with a bang and her two grown kids laughing as they made their way into the house. “Hey, Mom! I didn’t think you’d still be up!” Liam said, walking into the TV room. McKenna followed after her brother and plopped noisily onto the couch next to Kimberly, issuing a huge sigh. Brent woke groggily and sat up in the recliner. “I agree,” he said with a huge yawn, then looking at his watch he groaned. “It’s past time for bed.” Picking up the remote which was laying beside him, he clicked the television off, apparently not interested in the Miracle Blender infomercial which had been running across the screen. As Kimberly crawled sleepily into her bed that night, she had a strange nagging feeling that she had forgotten something. She attributed it to falling asleep on the couch and going to bed so late, and quickly fell back to sleep. New Year’s Day dawned bright and beautiful. Brent was already up, cooking breakfast in the kitchen, causing the delightful aroma of waffles and sizzling sausages to waft up the stairs. Kimberly awoke, feeling suprisingly refreshed and content. The smell of breakfast didn’t hurt, of course. Her taste buds seemed to wake up before her brain did. She slipped on her favorite fluffy robe and made her way downstairs to help with the food, passing through the dining room. A reflection of light caught her attention out of the corner of her eye and she stopped in mid-stride. The sudden flash of memory washed over her like a flood….the mirror, the distorted room, the girl, Maeve…. Heart thudding painfully in her chest, Kimberly turned toward the mirror hanging on the wall. Nothing looked out of the ordinary. Her reflection in the antique glass was slightly wavy, making her face appear a little longer than reality. It was the same reflection she had seen in that mirror for the last forty years. What did she expect to find there? The girl, the mist, it was all a dream...right? Later that afternoon Kimberly couldn’t shake the images in her mind of her grandmother Maeve. The dream had been so vivid, it had felt so real. Finally she made her way up to the attic. It took a good fifteen minutes to move boxes and old pieces of furniture around enough to get to the dormer window in the front of the house. There under the window she found the old wooden crate she was looking for. Getting excited, she pulled out wadded up pieces of old newspaper, now yellow and faded with age. When the box was almost empty she could see the stained brown case. It was locked, and a tiny silver key was tied to the handle with a faded green ribbon. The case was quite heavy, and Kimberly pulled it out of the crate carefully so as not to shift the contents. She set it on top of a battered dresser and untied the ribbon to release the key. With trembling hands, Kimberly slid the tiny key into the lock and turned. The latch released with a satisfying click and Kimberly lifted the lid. Nestled nicely inside the case was her grandmother’s typewriter. It was a portable Remington, made in the early 1940’s. The body was painted a dark army green, and the black glass keys still looked glossy and smooth. This was the typewriter that her grandmother had written her stories on all those years ago. It was the typewriter on which she had compiled her book together. 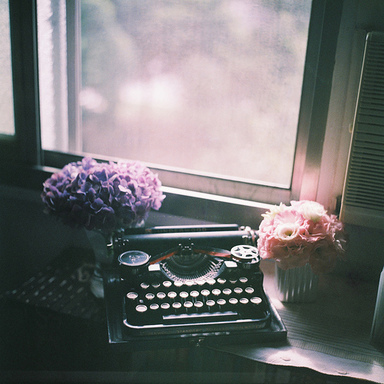 It was the typewriter which Kimberly had seen in her dream. Just like Kimberly’s old spiral bound notebooks, this had been the instrument which Maeve had used to pour her heart and soul into. It had been rained on with her tears and caressed with her loving fingers. Touching it, Kimberly felt a special connection with Maeve, rekindled and ready to explore. Her grandmother had left the machine to Kimberly in her will, but she had been unable to open it at the time. The pain of her loss was too plain and real. She had placed the crate in her attic and subsequently forgotten about it. Until now. Just like Maeve, Kimberly had a story to write. It was the story of her heart, the depth of her soul, the embodiment of her dreams. It was her aisling, which had been hidden deep down inside her for so many years. Maeve had known about it, because Maeve had an aisling of her own. Now it was up to Kimberly to write her own happily ever after and bring her aisling home. Kimberly gingerly took the typewriter from its case, rolled a sheet of crisp paper onto the round rubber carriage, and began to write, the key strokes making a delightfully noisy clack.